I didn't start talking until I was almost two-and-a-half; some would say I've more than made up for it in the intervening years. I began reading and writing not long after I began to talk, and have never stopped. I'll read just about anything, but favourite subjects include anything to do with North Polar and Arctic exploration in general and the Franklin Expedition in particular; ghost stories; Golden Age mystery stories; and anything by favourite authors such as George MacDonald Fraser, Andrew Greig, Charles Dickens, R. F. Delderfield, and Barbara Pym. My writing is mostly non-fiction, about ghost stories, Sherlock Holmes, and Arthur Conan Doyle, although I have written a few pieces of fiction which have had kind things said about them. Since 1994 I've edited ALL HALLOWS, the journal of The Ghost Story Society. I love to swim, and during the hockey season I follow the fortunes of the Vancouver Canucks, who will one day (I hope) win the Stanley Cup. Last Christmas we gave Tim an iPod, and due to technical difficulties which, quite frankly, I don't understand, Tim couldn't upload anything to the device through his own co mputer. As I'd given Christopher an iPod the Christmas before, and he had quite a lot of music and audio files on his own computer, he simply uploaded it all to Tim's, which was fine with everyone. However, not long after the New Year, Tim was scrolling through his iPod library and discovered something called Round the Horne: specifically, dozens of episodes of the BBC radio series from the 1960s, which Christopher had transferred, by the miracle of modern technology, from a number of cassette tapes to his iPod. We knew Tim had discovered the shows because he was going about the house convulsed with laughter, listening to them over and over and repeating huge chunks of dialogue to us at every opportunity. 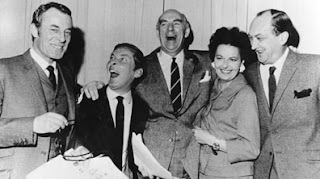 It's not hard to see what appealed; even forty years on the shows are fresh and funny, full of witty dialogue, wonderful recurring characters, memorable catchphrases, and the sort of skilled playing by veteran actors (in the picture above we have, from left to right, Hugh Paddick, Kenneth Williams, Kenneth Horne, Betty Marsden, and BBC announcer Douglas Smith) that one associates with classic British comedy. Before long Tim could pick out who was who, replicate accents and voices, even sing along with close harmony group the Fraser Hayes Four (who provided a serious musical interlude on each show; if you see Tim at World Fantasy in San Jose, ask him to do 'Alexander's Ragtime Band'). It wasn't long before Christopher pointed out that if Tim liked Round the Horne (which he obviously did), he'd probably also enjoy Hancock's Half Hour, a number of episodes of which were also on his iPod. . . .
And thus it was that Tim discovered Tony Hancock (l), ably supported by both Kenneth Williams and Sid James (r). Round the Horne maintained first place in his affections; but he enjoyed the Hancock episodes as well, and sought out a few of the television shows courtesy of YouTube. Kenneth Williams remained his favourite actor, and various of his Round the Horne creations - Gruntfuttock, Julian, Rambling Syd, Dr. Chou-En Ginsburg, M.A. (failed) - were heard about the house at all hours, and at the drop of a hat. One night last week, while Christopher was a school board meeting, I thought that Tim would probably enjoy w atching the 2000 movie Cor, Blimey!. Although the thrust (ooh, Matron!) 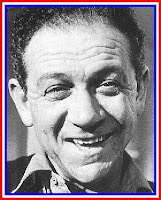 of the film is the relationship between Sid James and Barbara Windsor, stars of the cheeky( and much loved) Carry On comedy films, Kenneth Williams (superbly played by Adam Godley) is one of the main supporting characters, and I wondered what Tim would make of seeing Williams (and James, to an extent) played by others in a film. The movie opens at Pinewood Studios in 1964, as a young dresser arrives for her first day on the job. In the studio she stops in front of framed pictures of the real Williams and James, which then change into photographs of the actors playing them in the film. 'The actor playing Sid James looks more like him than the actor playing Kenneth Williams does' said Tim critically; but as soon as the actors playing Williams and James appeared, he was transfixed (James is played in the film by Geoffrey Hutchings). 'He sounds just like Sid James!' said Tim approvingly, of Hutchings, and he said the same of Godley as Kenneth Williams. He hasn't yet seen any of the Carry On films, but I have a feeling it's only a matter of time. Tonight we watched Kenneth Williams: Fantabulosa!, a 2006 TV movie about Williams's life, largely drawn from his diaries (published posthumously). It stars Michael Sheen as Wil liams, and is by turns hilarious and horrifying, showing as does an immensely gifted but intensely conflicted man whose death (due to an overdose of barbituates) in 1988 was probably suicide (although a merciful coroner returned an open verdict). 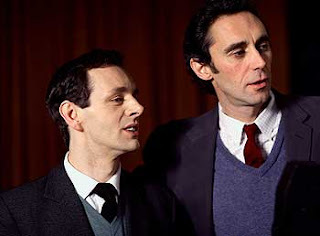 Perhaps the highlight of the movie, for Tim, was a scene which shows a recording of an episode of Round the Horne; the look on his face was priceless as he realised what it was, and saw Stephen Critchlow (as Kenneth Horne), Guy Henry (as Hugh Paddick), and Sheen launch into a 'Julian and Sandy' skit ('That's really from one of the episodes!' said Tim in a whisper; compare the picture of Sheen and Henry above with the picture of Paddick and Williams at the top of the piece). By the end of the film, though - which ends (apart from a brief coda) with the final words of the final entry of Williams's diary, written on the day he died: 'Oh, what's the bloody point?' - Tim was thoughtful. 'He was a lonely man, wasn't he?' he said after; then, 'If I had a time machine, I'd like to go back and meet Kenneth Williams.' I don't know whether Williams would be pleased or not to know that he has a fan in someone who was born in another country, eleven years after he (Williams) died; I'd like to think he would be. I expect we'll be hearing a lot more Round the Horne in these parts; I console myself with the thought that there are a lot worse things Tim could be listening to. . . .
Posted by Barbara Roden at 10:20 p.m.
You have such a cool kid there. I would have loved access to OTR when I was a youngster. I just had to find what I could by luck on small stations, or vinyl recordings of old shows. Hancock and Horne were great shows, Barbara. I remember watching/listening to them when I was a kid. And Hancock's appeal was pretty universal ... I used to know a Chinese-Malaysian martial arts master (eighth dan, no less) who was a fan. The quality of the Carry On movies was frankly a bit patchy overall, but the very best ones -- Cleo, Screaming, Up the Khyber -- were terrific. You can forgive a series anything when it has Kenneth Williams as Julius Caesar, about to be assassinated, yelling "Infamy! Infamy! They've all got it in fer me!" ... although I'm not sure how well that joke translates. I was fortunate, growing up in Vancouver, to be able to listen to Jack Cullen's 'Owl Prowl' show late at night on radio station CKNW; it started after the 11.00 pm news with an OTR show (complete with original intros and ads) from Cullen's vast library. I also managed to get some of the Rathbone/Bruce radio shows on LP, and just about wore them out. Wonderful stuff! Yes, the infamy line is a great one; I think it made the BFI's list of 'top British movie quotes' at number one. I think that 'Hancock's Half Hour' was broadcast over here in the 1960s - Hancock is, or at least was, fairly well known in Canada - but I doubt that 'Round the Horne' was ever aired on this side of the pond. A pity, as it's hugely funny and hasn't really dated at all. Tim certainly loves it, and has become adept at spotting a double entendre. He also does a mean Seamus Android impersonation. Have an eclectic taste in comedy, but Kenneth Williams and Sid James (and Marx Bros) somewhere at the core. Delightful to know that they and their characters live on through new generations. 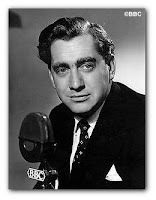 The BBC radio station, BBC7, provides a sterling service in keeping archive material, comedy, drama a sci-fi radio shows on air through DAB and the Internet. (Love the North American OTR classic serials, comedy and drama. SO fortunate to have access to such wonderful worlds of broadcasting).